Located in the French West Indies near St. Martin and Anguilla, St. Barthelemy (or St. Barts) is the Caribbean's most elite and expensive island. The capital, Gustavia, is trimmed with cottages and designer shops, surrounding a yacht-filled harbor. On the opposite side of the island, St. Jean is a colorful strip of high-end boutiques and beach bars. The beaches are gorgeous with white sand and a great French vibe. The best time to visit is in May or June when the weather is nearly perfect. December is considered peak season and requires booking several months in advance. The currency on St. Barth is Euros. However, dollars are accepted everywhere. When you dine out, you will be presented the check in Euros. Most of the larger restaurants take credit cards. If you pay by credit card, you will get the true rate of exchange but the credit card company charges a foreign exchange fee. VISA and MC are the most widely accepted. Bring plenty of cash too. ATM machines can be found at the various banks. You will receive a limited amount of euros. Change Caraibes (Gustavia) will exchange dollars, euros and other currencies. American Express Cardholders: La Savane Shopping Center across from the airport, 0590 52 97 06. As there is no ATM machine on the island that accepts an Amex card, Dal Tucker at the local Amex Office can help you in providing American Express needs and can assist with any issues regarding your card. St. Barth is special due in part to the fact the islanders are still very close to nature and wish to protect their little piece of paradise. St. Barth Properties supports the local ecological initiative and we ask you, our valued client, to please help the population preserve this pristine island. Please be mindful of conserving energy by not taking long showers, turning off the AC when you leave your villa or hotel room, and reusing your towels before asking for more etc. Plastic bags are no longer used at the grocery stores. YHI will provide eco-friendly shopping bags for your convenience. Merci beaucoup for your cooperation. 220 volts. Adapter plugs (with two round prongs) are necessary for US appliances with dual voltage. Converters are necessary for appliances that are only 110. You may rent a cellular phone. If you wish to set this up in advance, e-mail or call us before you go. Upon arrival, you will be receiving our Helpful Hints Plus which will have detailed information regarding Medical Emergencies, Internet Cafes, emergency telephone numbers, nautical activities, catering, take-out, tennis, private chefs, wine, water sports and up-to the minute news on the restaurants. A valid passport is required for U.S., Canadian, Brazilians and EU National citizens, regardless of what others may tell you. All other nationalities MUST have visas. (This includes nannies and staff traveling with you, who must also have proper documentation or they will be sent back.) Even if you previously cleared immigration without incident, proper documentation is now necessary. For information on U.S. passports, go to the website: www.travel.state.gov/passport/index/html. Remember children's passports expire every 5 years. Although St. Barth is one of the safest islands in the world, care should still be taken with cash and valuables. It is always best to lock your villa or hotel room. Put valuables in a safe place or carry them with you. As in all tropical locations, the dengue fever exists in the Caribbean, please be sure to use mosquito repellent with DEET. LVH Global can assist you with all aspects of your purchase and set up appointments for you to view properties while you are in St Barth. 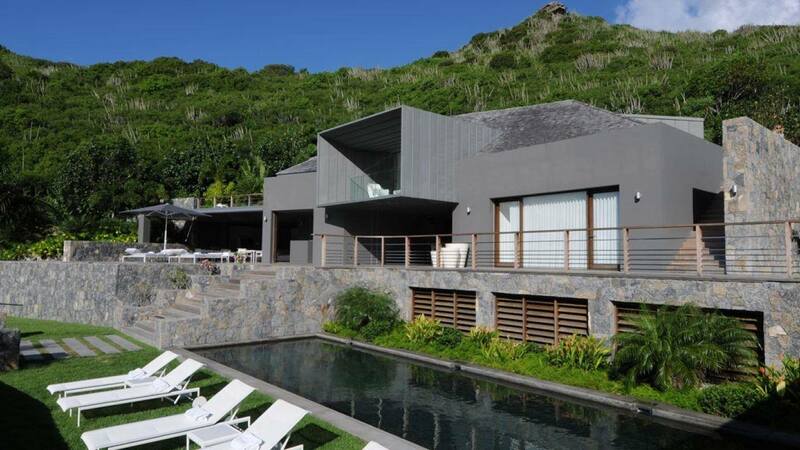 If you have legal questions regarding the purchase of real estate in St. Barth, we can refer you to the on-island bilingual consultant who specializes in helping Americans through the process. Cribs, baby items, electronics and cell phones may be rented. The villa telephone is usually restricted to local calls, but you may receive international calls. To reach the US, first dial 001, then the area code, and the main number. You can reach an AT&T operator and use your calling card for international calls. For AT&T, dial 0-800-99-0011. Please note: Due to deregulation, it can be cheap or extremely expensive. It is better to ask those in the USA to call you at a pre-set time of day. (St. Barth is on Atlantic Time, 1 hour ahead of Eastern Standard Time in the winter). Outremer Dauphin prepaid phone cards can be used from any telephone, even the one in your villa and offer the best value for your money. These cards are for sale at the gas station in St. Jean and at most grocery stores. The prepaid phone card is the cheapest method; using a credit card is the most expensive. St. Barth is in the Atlantic Time Zone and is one hour ahead of Eastern Standard Time. It has the same time as Eastern Daylight Time the rest of the year. You may think that the restaurants are somewhat expensive but, unlike the USA, restaurant menu prices INCLUDE service but not tip. If your meal is exceptional, it is nice to leave an additional tip (up to 10%). In the villa, hotel or apartment maid should be tipped a minimum of $3-$5 per bedroom per day.The person greeting you at the airport and assisting with your bags should also be tipped (minimum of $20 per couple). If you have asked for other services such as a massage, a baby-sitter, boat charter, private chef, etc., a tip is always appreciated and should be determined by the level of service received. LVH has VIP service available to all of our St Barth Properties' clients and can facilitate the transfer through St. Maarten as well as the return from St. Barth. If you would like to spend your last day relaxing instead of rushing to get to the airport, your bags can be picked up at your villa, taken to the airport, checked in and your boarding passes will be issued. All you need to do is show up and get on the plane! (175 euros for two people) Luggage pick-up and delivery is also available through Independent Services.